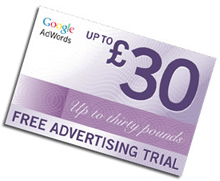 Home » adwords promotional coupon » free adwords voucher » Free Google AdWords Worth £30 for UK or Ireland - Is It Really FREE? Free Google AdWords Worth £30 for UK or Ireland - Is It Really FREE? There is good news for new advertisers in UK and Ireland to take advantage of the trial £30 voucher of Google AdWords now. However, you need to carefully monitor your campaign that you set up using promotional AdWords coupon. Otherwise, you’ll be charged. Actually £30 free coupon is in fact worth £25 (£30- £5 activation of AdWords account). If your account is less than 14 days, you can avail of this FREE AdWords coupon but not without caution. Read carefully the Terms & Conditions. “If you do not wish to incur additional charges beyond the promotional credit then you should monitor your account and pause or delete your campaign before or once this amount has been reached.” .” Otherwise, you will be charged for any advertising charges that exceed the promotional credit.